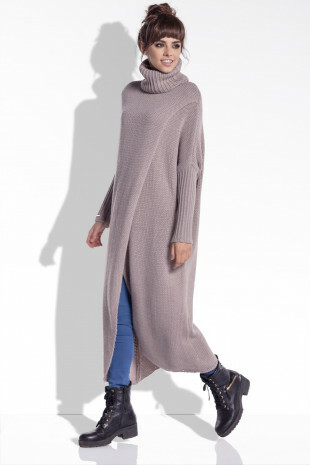 Light, woollen cardigan with a loose, wide cut. The sleeves are also wide, finished a narrow cuff with a covered elastic band. This sweater has a girlish character and is a great proposition for dresses. It was made of woolen yarn from the oldest factories in Italy.